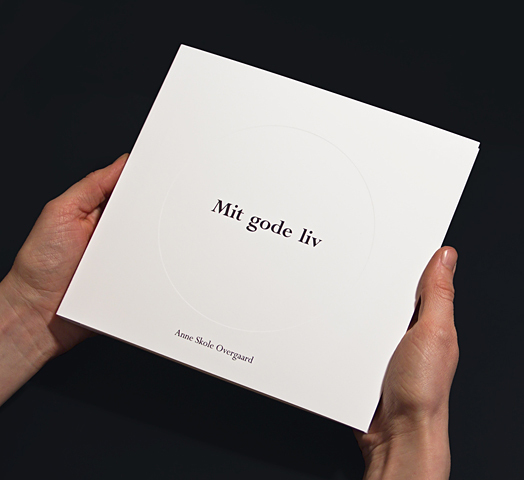 My Good Life is an artists' book looking like a self-help-book. The texts in the book is taken from books like Get a New Life in 4 Weeks, The Self-Sufficient Gardener and Musical Healing. Each text is illustrated by a circular drawing: a bean sprout, the earth, a flower and an eye. My Good Life plays with the idea of the Ring of Life, Nature, Femininity and Perfection.